Over the years, we’ve all seen the effects of concern about the environment. The quality of outdoor air has been a major concern for years, and responsible people do all they can to protect the air and the environment. Yet, these same people don’t think twice about breathing in polluted and poor quality air inside the home or the office. Often, the quality of the air indoors is worse than the air outdoors, and people are enclosed in small houses and offices, having to breathe in dry and polluted air. Indoor air can be as polluted, if not more polluted than outdoor air, which means that it can be hazardous to our health. Everything from tobacco smoke to microscopic bacteria and dust particles can affect the indoor air, and this can result in ill health and damage within our homes. The type of heating used in the home can also create very dry air indoors, and, combined with other environmental factors, can contribute to pollution through increased bacteria, dust, and other hazards. The dry air that can stem from these problems can result in a number of health issues such as colds and respiratory infections, dry skin, cracked lips, allergies, sore dry throat, dry nose, and a weakened immune system that is more susceptible to infections and illness. And it’s not just our health that can suffer from this dry air. It can also affect the interior of your home or office, leaving you with cracked and peeling paint, peeling wallpaper, cracked and damaged furniture, and static electricity. Humidifiers can prove invaluable in the treatment of dry and polluted air. Humidifiers come in a range of sizes, styles, and types, and they can help to inject valuable moisture into the air. 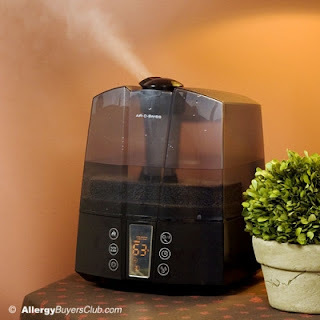 This should help to decrease the levels of dryness in the air dramatically, and will enable you to enjoy improved health, improved quality of air, and even an improved home interior. 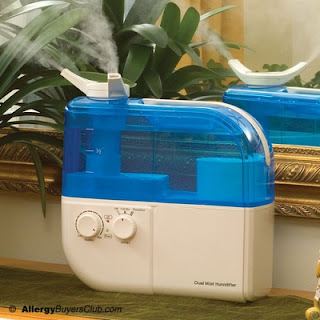 Humidifiers have also been proven to cut the levels of dust and bacteria within the home, again helping to eliminate the health issues and allergies that can result from the presence of these hazards. You may live in a home that you assume is clean and healthy because it looks this way, but short of walking around with microscopes attached to your eyes, you’ll never realize just how polluted the air in your home might be. Many people continue to breathe in polluted air in the home or office and never do anything about it because they don’t think that there is a problem. 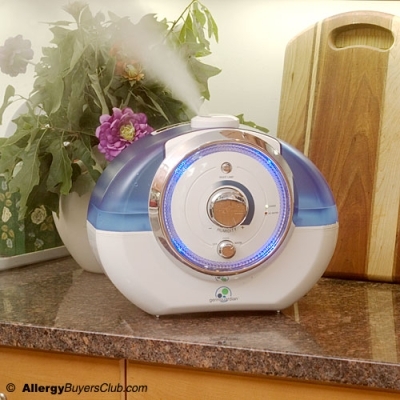 However, humidity levels in a great many homes are far lower than they should be, and the adverse health effects caused by poor humidity can have a profound effect on health, particularly with the very young, the very old, and those with pre-existing allergies and conditions such as asthma or eczema. 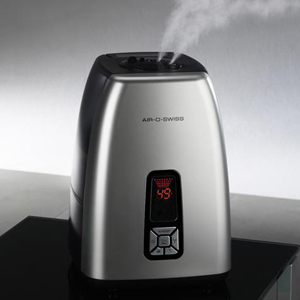 The range of cool mist humidifiers includes single room machines, whole house humidifiers, console humidifiers, and multi-room machines. With these humidifiers the humidity is produced by air blown through a wick in water. 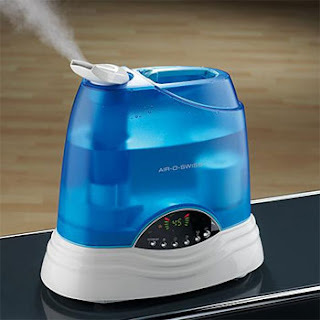 The range of warm mist humidifiers includes portable machines or room humidifiers. These work by producing humidity through the use of boiling water. 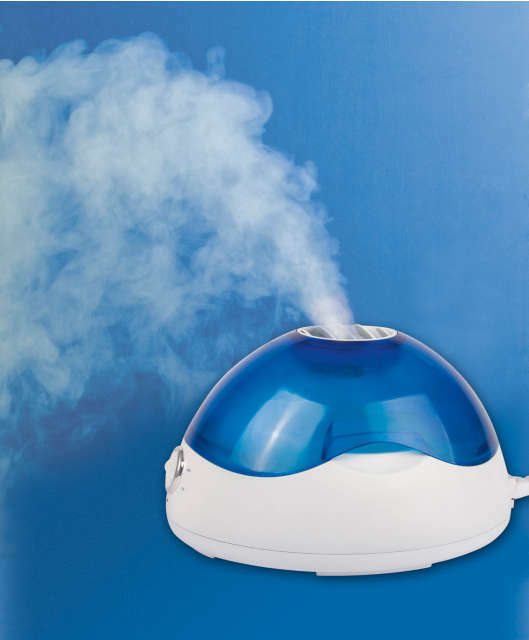 Whether you select cool or warm mist for your humidifier will depend on personal preference and your current environment. 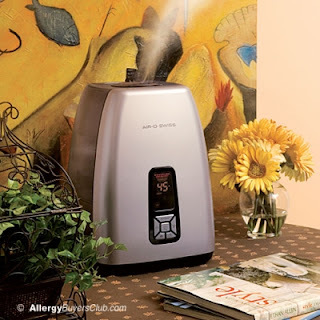 You will also need to take budget and needs into account when selecting your humidifier.